I often get asked “What’s the difference between NVC and Verbal Aikido?” Well the short answer is that it’s like the difference between a hammer and a screw-driver: they’re both tools that do similar things but in different ways. From my own experience with both of these communication tools, there have been times where I’ve recognized it was more appropriate to use one or the other. Essentially I’ve found that NVC works best when dealing with one’s own imbalance or unpleasant feelings, i.e. when I felt that there was some aggressiveness or discomfort within me. Verbal Aikido, on the other hand, is much more efficient in dealing with the aggressiveness or discomfort coming from someone else. To give you a practical example, NVC would work well if you feel upset because someone is trying to manipulate you… You might say “Hey, when I feel manipulated I get frustrated and I need to feel that I have a choice and that my choice will be respected.” The objective here is to decrease the likelihood of others hearing blame or criticism in the words you use with them, thus avoiding a conflictual situation or escalation. The objective here is, of course, to avoid a conflictual situation or escalation too, but it is done by focusing externally rather than internally. Indeed there is much in common between Verbal Aikido and Nonviolent communication, because both focus on understanding the source of discomfort, both use empathy to connect with the other and both aim at creating peaceful exchanges and reinforcing relationships. 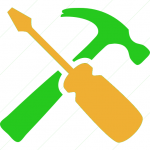 If you’re still wondering which is better, can you really put a hammer and a screwdriver in competition? Personally I find both tools complementary, one more proficient in dealing with what I want to express, and the other in dealing with what someone else is expressing. However for Verbal Aikido to be truly effective it isn’t necessary for both people to be receptive and practice it, whereas I’ve found that NVC is really most effective when both are trained and open to using it. It really is best to have both tools in your toolbox; you never know which will be most appropriate to hang up your picture! 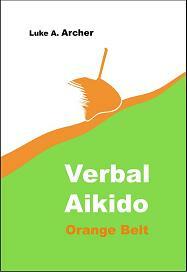 Verbal Aikido – Orange Belt has arrived! If you’re not yet able to get delivered by Amazon (US, UK, France), just contact us and we’ll make sure a copy gets to you safely. The Kindle version is also available in print replica format for all Kindle fire tablets and reading apps – just type ‘Verbal Aikido Orange’ into your Amazon search. Looking forward to hearing your own views soon! In September 2014 we were asked to come to the Paul Portier High School in the Champagne region to teach Verbal Aikido to the students and teachers. 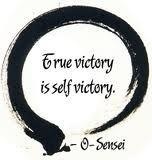 If you would like your school or organization to benefit from Verbal Aikido training, please contact us. If you’d like to Discover More first… that’s fine too! 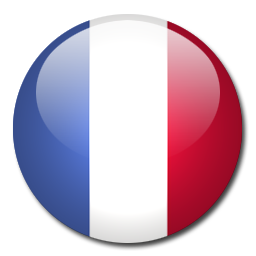 Pour découvrir en version française, cliquez ici. A few years ago I got a boardgame for my son. The game involves moving your counter around a board in search of the objects depicted on the cards dealt to you. But when it came to explaining the rules to my son and a friend of his, I decided to make up some house rules of my own. In fact, I did this because I knew my son’s friend often got very upset, declaring “it’s not fair” any time we played something and things didn’t go his way. So, all the time pretending to be reading from the official text, I explained that we weren’t allowed to proclaim that something wasn’t fair. It was in the rules after all! As they seemed to gladly go along with that one, I added another. You could, of course, win by being the first to get through all your cards, but you could also win by making up a great story using all the items on your cards, which inevitably produced quite a few draws! Surprisingly enough, even though they both copped on a few years later that I had been “creative”, we continued to play by the house rules. No-one ever complained during the games and the stories got better and better. The truth is, no matter what rules you perceive around you, you always have the choice to make up your own rules and play by them. In fact, there’s most likely some area that you’re doing it already. 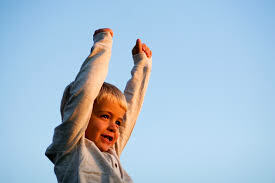 Whether it’s finding a parking space close to your destination, identifying a song sooner than anyone else, having the most fashionable outfit, drinking the most beers at a party, cleaning something a certain way or whatever else; there’s something that you do that you consider to be a ‘personal win’, and you feel good when you do it. Come back to a centered place in less than 10 minutes after getting upset. Come back to a centered place in less than 30 seconds after getting upset. I was chatting with a colleague recently who was telling me about his wife who “loves to be right”. I remember wondering “Well, who loves to be wrong?” Indeed everybody needs to feel right about certain things in order to construct a life with any degree of stability, but in instances of conflict transformation, holding on to what we feel to be the only truth has an annoying way of making matters escalate. If you stand in opposition or in resistance to another person’s point of view, the chances of reaching any sort of efficient outcome (balanced or not) are of course greatly compromised. Compare how long, on average, a boxing combat takes to the time an exchange in aikido takes; compare how much effort is used and how much pain is endured on both sides… Now ask yourself: do you stick to your guns and fight your corner when someone’s point of view differs from yours? Well rest assured, there is something quite simple that will help take you out of that verbal boxing match and into an exchange that greatly reduces your effort, pain and even just the time you put into it! In fact, your initial stance plays a greater role than you can imagine, both physically and verbally. In aikido, the physical stance or kamae, enables you to receive and blend with your attacker. There are different kamae; kneeling, standing, left-oriented, right-oriented, etc., but whatever your stance, it is key that you find a centred and balanced position that gives you enough flexibility to let the energy flow (ki-no nagare) and manage whatever comes at you. In Verbal Aikido, we call this kamae ‘open attitude’. Indeed even in physical aikido, our kamae pertains to much more than just how one’s body is positioned; it concerns an overall comportment too. 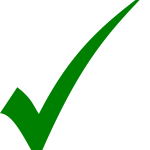 When dealing with verbal conflict, you have an edge over any attacker when you begin from this open-attitude stance, being able to let go, if only momentarily, of what you believe to be right or wrong, and to replace it with a humble and sincere curiosity to discover more, about yourself or someone else. Indeed, a certain naïve openness is required to learn anything, for the simple reason that cynicism puts up barriers that prevent us from accepting any new information. “Ok but what is lying?” he asked with a little smile budding on the corners of his lips. I decided to entertain the question and see where it would go. For the next 15 minutes I challenged Seán to find something that was always true. In every case I found an exception. When he said “That’s easy: 1 + 1 = 2”, I replied “Well, in maths that’s true… but what about if you put one male and one female together for long enough, your 1 + 1 could become 3… or more!” When he put forward that “Everyone closes their eyes when they sleep”, I asked “What about the guy who lost his eyelids when his face was burnt?” Now this did get frustrating, and sometimes a little gory, but the point was not to prove him wrong, just to explore the limits of what we believe to be ‘universally true’. Finally his frustration got the better of him and he blurted out “OK so you tell me, what’s true then?” I smiled as I replied “For me, the only real truth is how we feel in a given moment, and right now, I love you – that’s an absolute truth. Your truth is how you feel, and no-one can take that away from you” [- – -]. His wide grin told me that we had found the Ai-ki in that discussion. Well, at least we know that we know nothing! So with our greatest scientists’ humble estimation that we can only fathom one twentieth of what we think exists – how can we believe that any theory or belief can give us the full picture? Indeed our understanding and knowledge will never be complete, all we can hope to do is continue to enjoy discovering new ideas, techniques and points of view… which is exactly the sort of opportunity that can arise when someone’s preconceived ideas about what is right, wrong, true or false are challenged – and when we meet it with that open-attitude kamae! In the end, it can help and even accelerate our learning potential to see things without having an attribute of ‘right’ or ‘wrong’, or at least to suspend this sort of judgment momentarily. Rather, there is only ‘our evolving reality’, and the only absolute truth is how we feel at a given point in time. 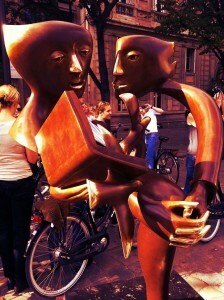 Indeed, on the enriching quest to understand another person’s truth you may even catch a glimpse of your own! Discover our free resources and activities. Warning: New words (neologisms) were used during the creation of this post! 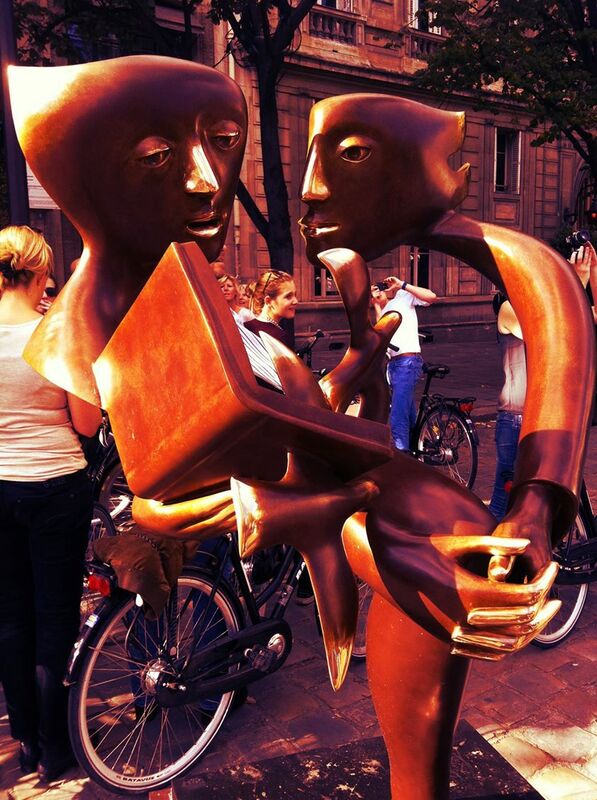 Do you believe that we are one? Part of a whole? Indeed when we search for differences we will find them, but we can choose to embrace these differences or not. We can remember or not what we have in common (which greatly exceeds our differences!). 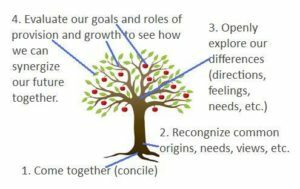 One of the major aspects of reconciling is merely focusing on these commonalities and differences in a constructive sequence. In fact, just bringing two ‘unconciled’ or ‘disconciled’ parties physically together (in the same place) is literally reconciling them! 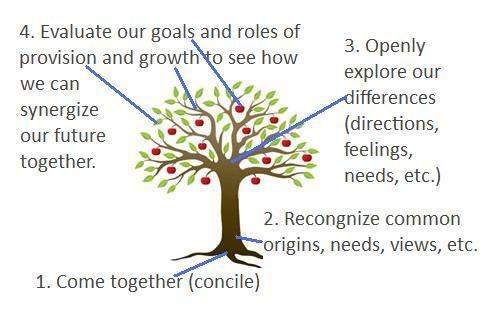 Then, when together, if they can retrace their common roots, explore their differences (needs, perspectives, motivations etc.) and then genuinely and openly search for mutually beneficial directions… this group or couple will veritably be in a reconciling process. When we become conscious of the choices available to us, we often observe that we can decide to enter or not into a conflict…It really does “take two…” because conflict is literally ‘striking together’, just like inflict is ‘striking into’ and afflict is ‘getting struck’. 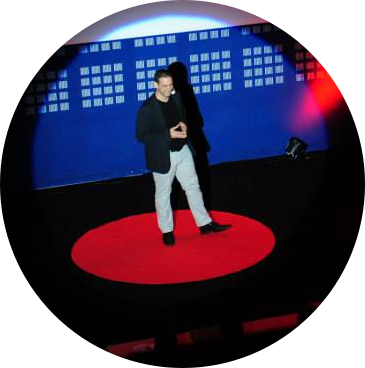 Treat yourself to a unique opportunity to discover Verbal Aikido with Luke Archer, who developed this innovative communication style to manage verbal attacks, develop self-control and assertiveness. Sure. You may find yourself upset or angry at something someone has said. Believe me, it happens to the best of us; but returning to your ‘center’ as quickly as you can after an upset, and acting from that balanced and serene position is an essential part of ‘Agatsu’ or self-victory. In order to help you learners and masters alike to stay conscious of your goal, you can now receive a gentle reminder of the Verbal Aikido principles that will accompany you at any time of the day, no matter where you are! 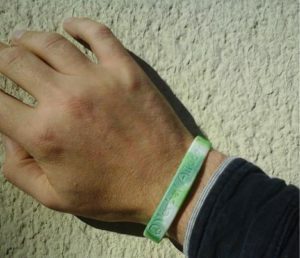 Stylish and discreet, each silicon wristband is green with subtle and unique white swirls, engraved with the words ‘Verbal Aikido – Masakatsu Agatsu‘ (meaning “True victory is self-victory“). Available in both adult and ‘youth’ sizes (for slender wrists), get yours now for only €6.99 (+2€ postage and packaging to anywhere in the world). We can all do with a gentle reminder from time to time! If you’re interested in participating in a one- or two-day dynamic Verbal Aikido workshop in Päris on Friday the 23rd and/or Saturday the 24th of January, please let us know! It will take place in Paris 11th district from 9:30 to 5:00 on both days. You can participate for 220€ (one day) and an exclusive reduced rate of €350 if you’d like to attend both days. Reduced rates also available for students and joint (multiple) inscriptions. Both days are open to beginners and advanced learners. Even if you have never had any contact with Aikido or any other martial art, you will feel comfortable discovering or rediscovering Verbal Aikido!